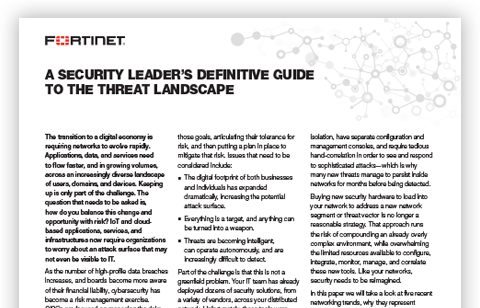 Learn about the five threats that, as an Enterprise Security Leader, should be keeping you up at night. • The Internet of Things - Three different types of devices and likely you'll be implementing two of them. • Ransomware - Discover the astonishing cost to business Ransomware has caused in 2017. • Moving to the Cloud - The four questions to ask yourself when moving to the cloud. • SSL Encrypted Data - What encrypted data can hide that you'll want to be able to see. Plus one challenge to the business of security that if you're not currently experiencing you most likely will.